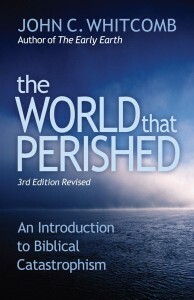 The sub-title to this timely book is: ‘‘An Introduction to Biblical Catastrophism.’’ It’s not so much that I needed an introduction to the subject, but I needed an update! In preaching through the life of Noah this second quarter, I wanted to refresh myself on flood geology and what has been happening in Creationism over the last decade or so. This short book helped a great deal. Whitcomb (thirty-eight years a professor of Old Testament at Grace Theological Seminary) does his usual good job of making a complicated subject readable for laymen in this area. The main theme is Catastophism verses Uniformitarianism. What does the fossil record (a record of death, not life) say and does the Genesis account of a universal flood answer the necessary criteria? Whitcomb answers a confident ‘‘yes!’’ The book also contains twenty pictorial illustrations of the probability of flood geology as an explanation of our present world.